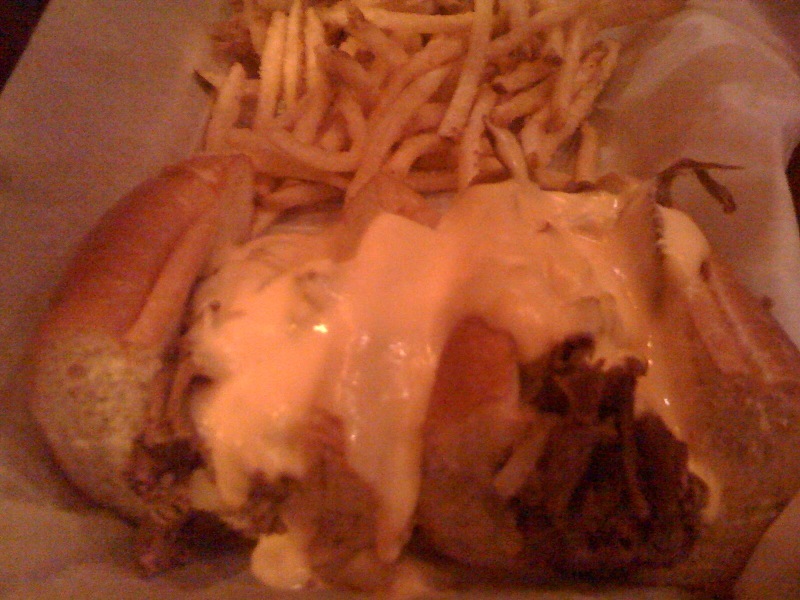 You can never go wrong with a cheesesteak, right? Not even when you're eating food at Circus Circus? Well, Rock and Rita's isn't as bad as you might thing. It's just a straight-up white trash party bar, which isn't the worst thing in the world. I mean, chicken wings. But sandwich-wise, what appeared to be a safe bet was a little disappointing because ... it's a French dip! You can't fool us. Just because you throw your chopped meat on a 9-inch Philly roll don't make it a Philly. The beef is clearly flavored and sliced for the French dip on the menu, just tossed on here with some grilled onions and peppers and slathered in a decent if lackluster cheese sauce. Nice try.